Superiore Livello Firenze Solid Wine Rack. 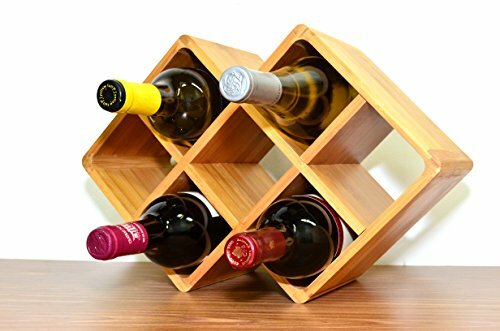 Crafted from one of the most rugged and renewable building materials on earth, the Bamboo 8-Bottle Wine Rack offers a stylish and eco-friendly wine storage solution. The horizontal structure keeps the corks moist so the wine last longer.